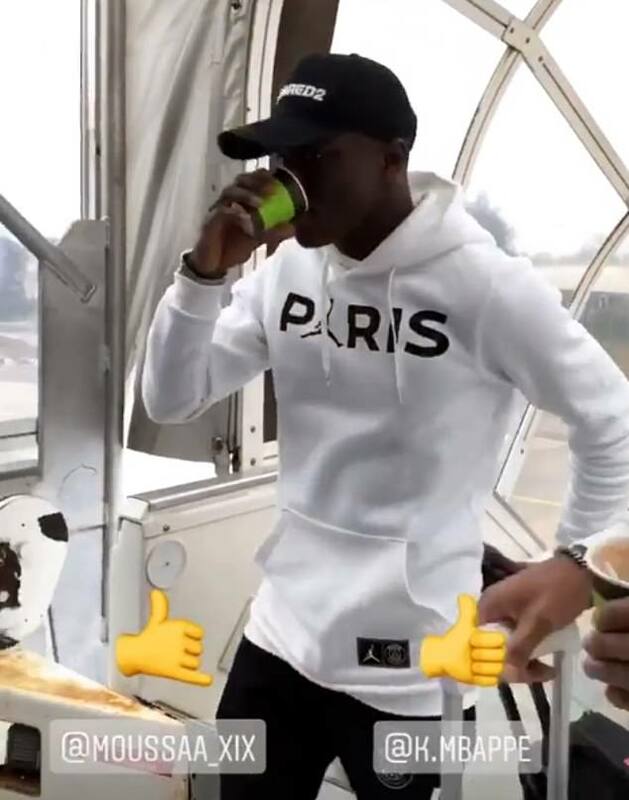 Paris Saint Germain have touched down in Manchester for a crunch European meeting with a United side who look vastly transformed under caretaker manager Ole Gunnar Solskjaer. The reigning French champions are among the favourites to win the competition this season, though must first overcome a last 16 opening leg clash at Old Trafford on Tuesday night. 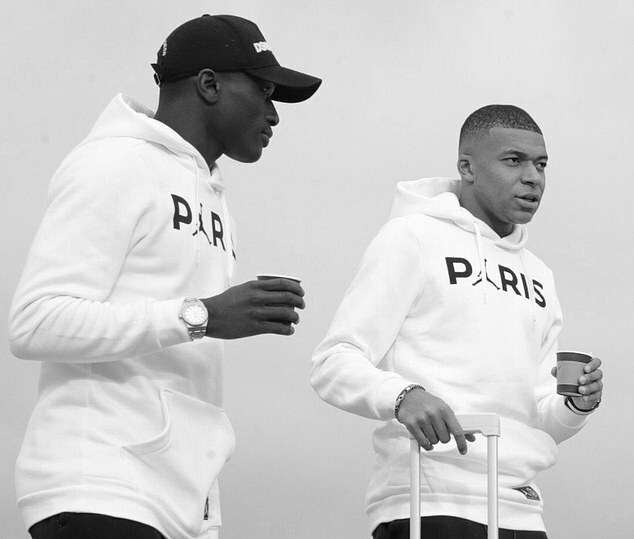 The stars of PSG boarded their team plane on Monday morning, ready to make the short flight from the French capital to north west England. 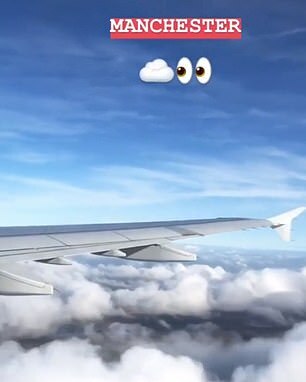 Documenting their journey, PSG were active across social media platforms to keep their global fanbase up to date on the teams’ whereabouts. 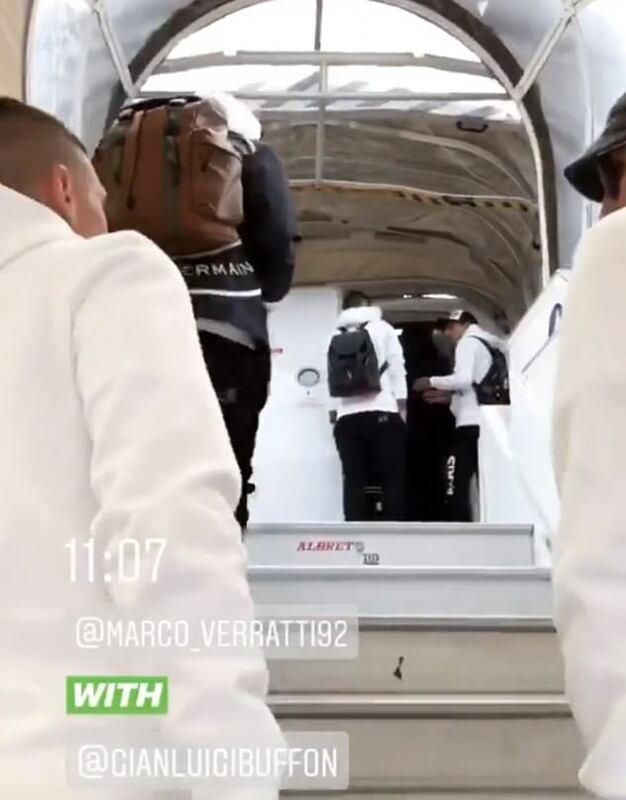 Legendary goalkeeper Gianluigi Buffon boarded the aircraft while deep in conversation with playmaker Marco Verratti, with both men looking calm and composed ahead of what is their biggest game of the season to date. 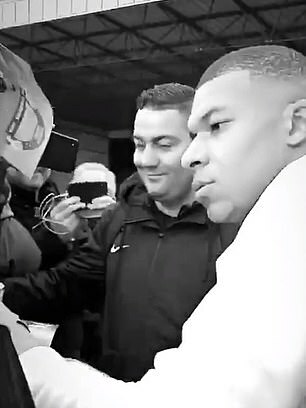 Wonderkid Kylian Mbappe rocked up with a small coffee, smiling and nodding to the cameras before making his way inside with close friend and team-mate Moussa Diaby. 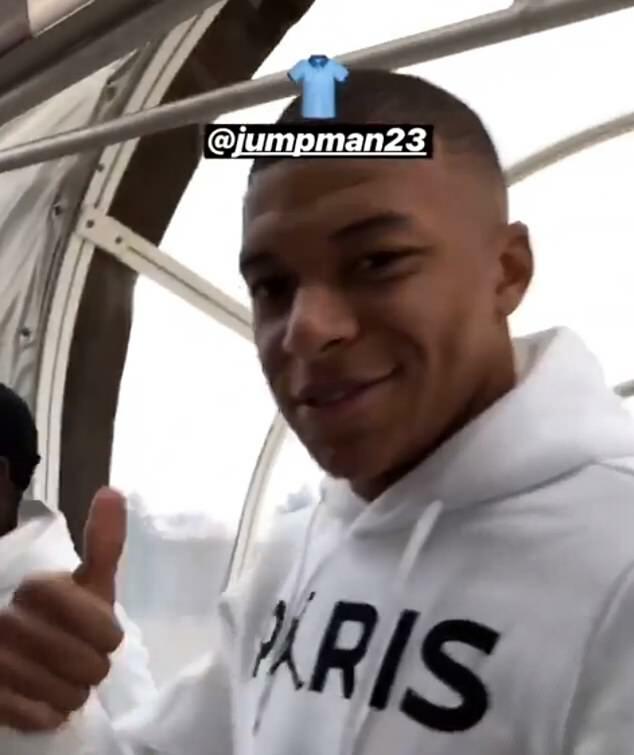 Mbappe will lead the line for Thomas Tuchel’s side at Old Trafford, and will be expecting to provide additional flair and impetus in the absence of talisman Neymar. 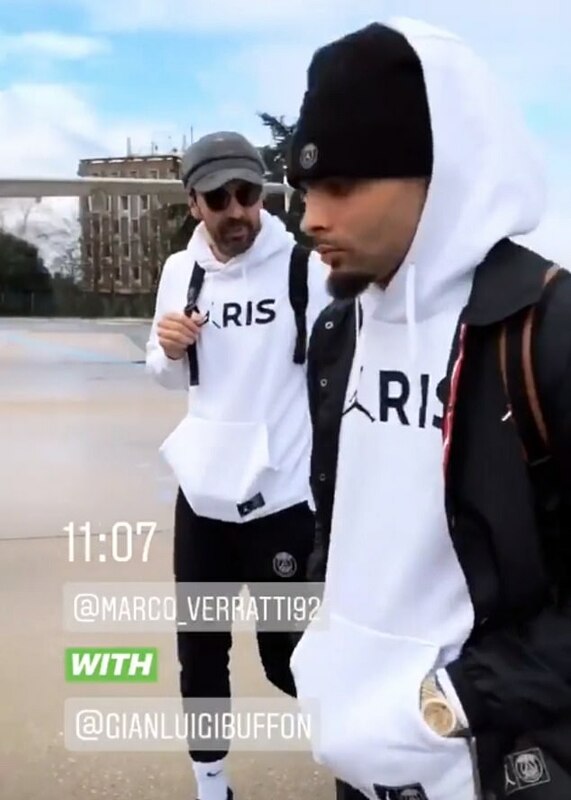 The mercurial Brazilian has been ruled out of Tuesday’s match due to a re-occurrence of a foot injury, of which he is working to recover from. 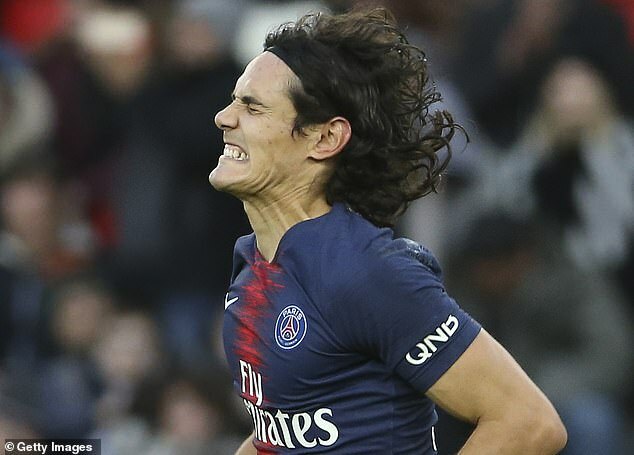 PSG could also be without main goal threat Edinson Cavani, after the Uruguayan limped off during a recent Ligue 1 victory over Bordeaux. 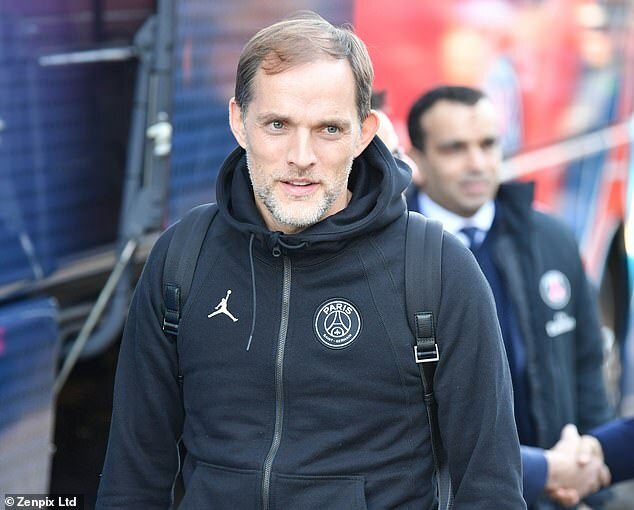 Tuchel rested several names for the meeting, due to PSG’s solid status at the top of Ligue 1, and it was Cavani himself who scored from the penalty spot before later picking up an injury. 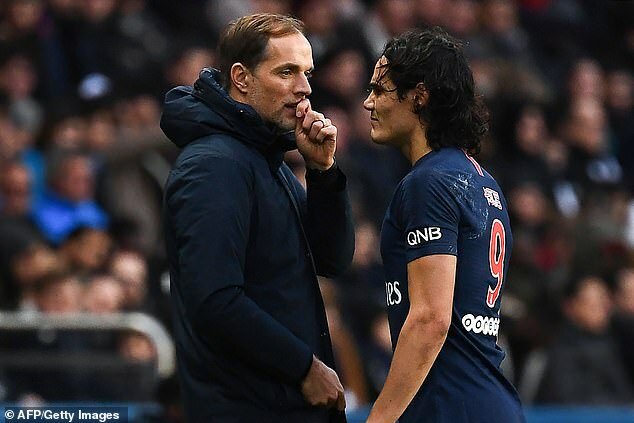 Speaking last week, Tuchel told reporters in France that the chances of Cavani appearing at Old Trafford are slim. 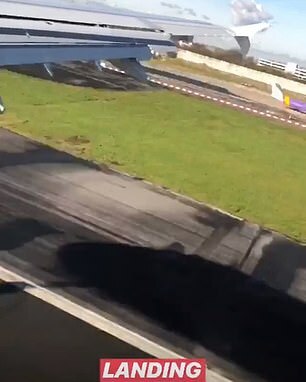 ‘We don’t have good news for Edi. 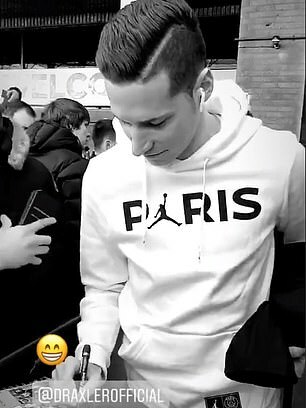 My feeling is that it will be very difficult for him to play,’ said manager Thomas Tuchel after the tie. 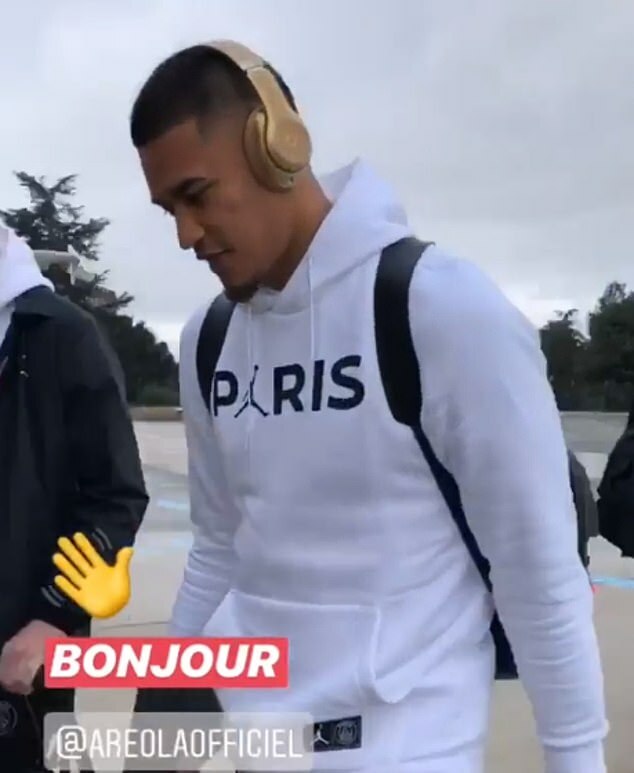 Tuchel had kept the likes of Leandro Paredes and Mbappe in reserve ahead of the last-16 first leg in Manchester. 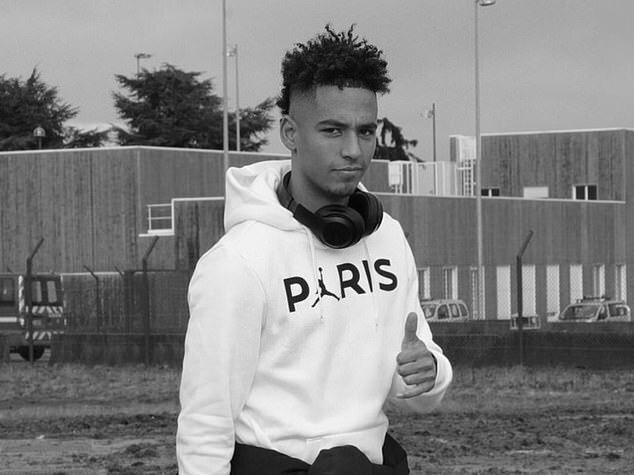 PSG have however already proven their ability in overcoming English opposition this season, after beating Jurgen Klopp’s Liverpool during the group stage in Paris.